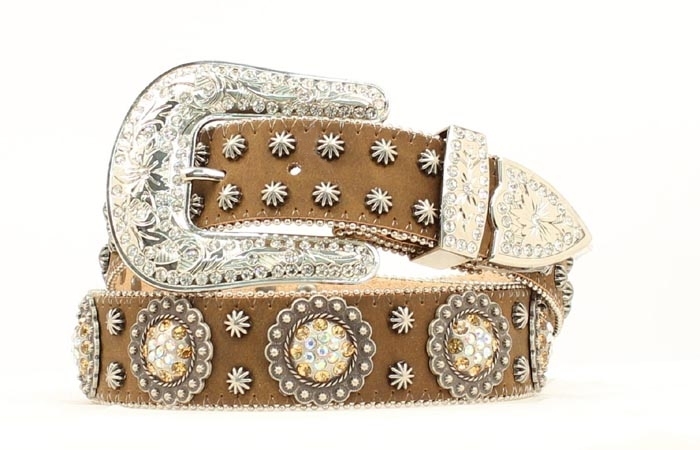 Medium Brown Distressed Rhinestone Belt with Large Cowboy Buckle Set. Two Rows of Small Antique Silver PLated Berry Star Conchos and Large Antique Silver PLated Conchos with Amber and White Cut Glass Crystals. 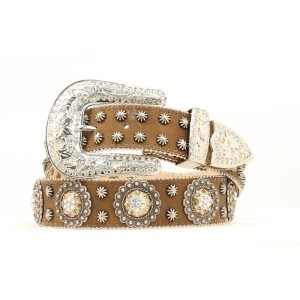 Silver Plated Large Cowboy Belt Buckle 3-Piece Buckle Set with White Cut Glass Crystal Rhinestones is included.